Need to qualify whether your services are available in a prospect’s location? 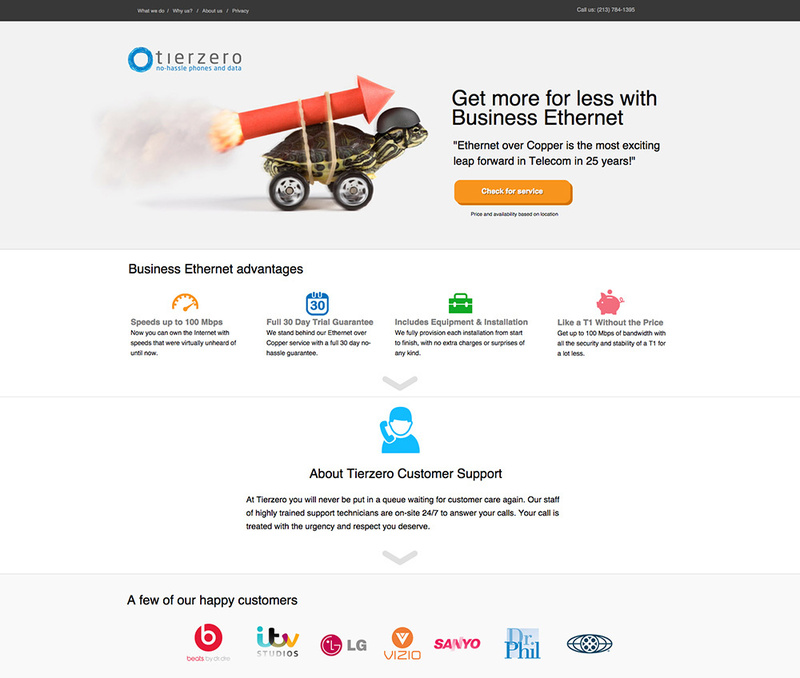 Why not use a landing page similar to Tierzero? They outline the benefits of their business ethernet offering in a clear lead generation landing page, and then give prospects the option to fill out the form to see if the service is offered in their area.